Episode 39: How to Travel Without Skipping a Beat in Your Business! Today’s episode of Spouses Flipping Houses was inspired by a recent question we received from one of our listeners about traveling and maintaining our business while abroad. Since it’s important to make sure you’re taking some time away from the grind to enjoy yourself, it’s equally important that your business continues to run while you’re gone. We thought it would be fun to share with you 3 essential tips for making sure your business doesn’t miss a beat while you’re away on vacation! This is really beneficial information! Thank you! My husband and I also flip houses full time and are looking forward to going on a vacation and not worrying about our projects! We work in the Raleigh, NC area and our website is theinspiringinvestment.com. Best of luck on all your ventures! Thought you might be interested in this – hope you’re having a great week!Boy Wonder Productions is currently casting for DIY’s “First Time Flippers.” I see you have an interest in real estate / flipping houses and I was wondering if you or anyone you know would be interested in applying to be on the show? 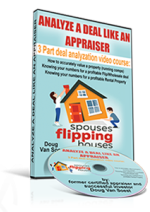 In case you are unfamiliar with the show, we feature two or three first time flippers who are doing some of the work themselves to save money. You can absolutely use contractors, we just don’t feature them. 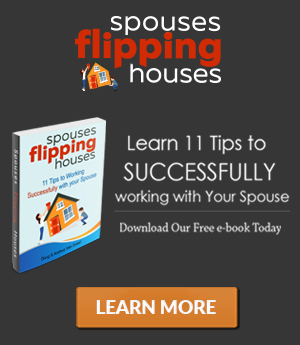 It’s all about you and your flipping partners! If selected, we film for 5 non-consecutive days and you get $5000 in total for participating, which is a nice addition to any budget. If this seems like something you may be interested in, you can fill out the short submission form at http://www.firsttimeflippers.com Please feel free to reach out with any questions!